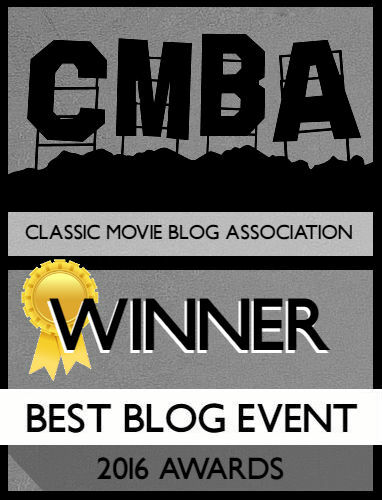 It’s my honor to announce I’ll be hosting the TCM Summer Under the Stars Blogathon for a third year in a row, running the entire month of August! There’s an absolutely amazing lineup of stars this month. Complete details are after the cut. What do I need from you right now? Your commitment. If you’re interested in participating, shoot me an email (journeysinclassicfilm@gmail.com) or leave a comment below with your blog name, email address, and what day(s) you wish to cover. 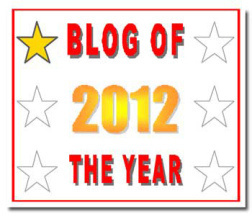 On July 31st I’ll be announcing the participating blogs. The entry may be posted before the star’s day, but we will not promote it until the star’s day. However, the entry must be posted no later than 5:59am EDT at the end of that star’s day. Turner Classic Movies counts a day as 6:00am on one day to 6:00am the next, not midnight to midnight. For example, August 1 is Gene Tierney’s day. Her day officially starts at 6:00am on 8/1 and ends at 5:59am on 8/2. Each star’s day follows suit. Because this blogathon is based on TCM’s schedule, this will be the schedule of record, so those of you not based in the Eastern Time Zone of the United States, please make your time calculations accordingly. The drawing will be held no later than Friday, September 4th, 2017. The DVD/Blu-ray prizes are Region 1. Substitutions for other Regions cannot be made, nor may any prizes be substituted. Also, due to international shipping prices, while the blogathon is open to anyone, worldwide, the prizes will only be dispensed to US residents. You’re all set Julia! Just drop me a link to the piece once it’s up. Could I cover The World of Henry Orient for Angela Lansbury day? My blog is Cinematic Scribblings: https://cinematicscribblings.wordpress.com/ Thank you! Sorry, I forgot to include my email address. I’ll send that to you via email. You’re all set Erin! Just drop me a link to the piece once it’s up. You’re all set! Just drop me a link to the piece once it’s up. Hi, Could I cover John Wayne on 12 August please? You’re all set Liza! Just drop me a link to the pieces once they’re up! Thanks for joining! Hi Kristen! It’s that time of year again, and I’d like to contribute a look at John Wayne’s “The Long Voyage Home”. As always, I’m at http://crackedrearviewer.wordpress.com and you can email me at gloggins58@gmail.com . Happy viewing! You’re all set Gary! Just send me a link when the piece is live. Thanks for participating! Hi there, Kristen, I’d like to look at RAGTIME for the Cagney day. You’re set! Just drop me a link when the piece is live. Thanks for participating! Hi Kristen. I want to cover Angela Lansbury day with an article about me meeting her and “Driving Miss Daisy” that I seen her live in. I would also like to write about Barbara Stanwyck on her day. For Barbara, I will write about her Academy Award nominated performances. Let me know if this is okay? You’re all set. Just send me links when the pieces are up. Thanks for participating! Thanks for giving Simone some coverage, Kate! Just drop me a link to the piece when it’s live. Thanks for participating! Here’s my list for Old Hollywood Films. You’re all set Amanda. Just drop me the links when they go live. Thanks for participating! You’re all set Jocelyn! Just drop me a link when the piece is live. Thanks for participating! You’re good to go Meredith! Thanks for participating!